The first recollection I have of my interest with martial arts comes from when I was around six years old whilst watching Bruce Lee in Enter the Dragon. This resulted in an unfulfilled ambition to become a Ninja…of all things! My fascination grew until eventually, after suffering many incidents of bullying, I managed to convince my mum to take me to a martial arts class, freestyle karate and kickboxing was my choice due to the flashy spinning kicks that they were demonstrating when I watched the first class. In my minds eye I was already kicking my bullies into oblivion. Unfortunately after a number of bloody attempts at ‘sticking up for myself’ I realised that the system I was training in was inadequate for the play ground scraps that I was experiencing, so my martial arts journey was then replaced by a new journey. This time in basketball! During practice, I was attacked; this incident pretty suddenly halted my aspiration of a career in the NBA. Instead it was replaced with fear…I had always been quite a fearful kid but now it was on the agenda in a big way! Although I had periods of time where I felt like it had ‘disappeared’ or I had ‘conquered’ it and done some brave things…but no, it would pop up to remind me that I was still a coward. Me and my wife Sam, who was then my girlfriend, were shopping for a Christmas present for her Dad, when we came across a book by a ex-gangster called Roy Shaw. I loved the strength of this fearless character and I very instantly aspired to be like him. But as he didn’t give any ‘instruction’ on how to be what they deemed an ‘ard nut’ I settled for buying a similar book, with a bit more guidance, so that I could immerse myself again in this seductive world. This is when I found one of the most important influences I would ever find, his name was Geoff Thompson and the book was “Watch My Back” This book taught me that fear doesn’t go away, accept it and harness it. It was a story about a bullied Coventry kid who learned how to control his fear and who then went on to become one of the most respected doormen and martial artists in the world. High on inspiration and guidance, I searched out a Thai boxing club which I spent some time at. I then went onto do some Boxing, then Brazilian Jiu-Jitsu and then Judo. I also started travelling down to Coventry to train with and meet Geoff Thompson at seminars on a yearly basis. I loved the training and felt I had to make a choice as to which art to dedicate my time to. I decided on boxing which I spent a number of years at training. During this time I also started working as a door supervisor and through Geoff Thompsons teachings, hard training and real life experience on the door I managed to gain control over my fear and went on to enjoy a successful career in security. I then moved from boxing, a striking system, to concentrate solely on and try to get proficient in, the grappling arts. 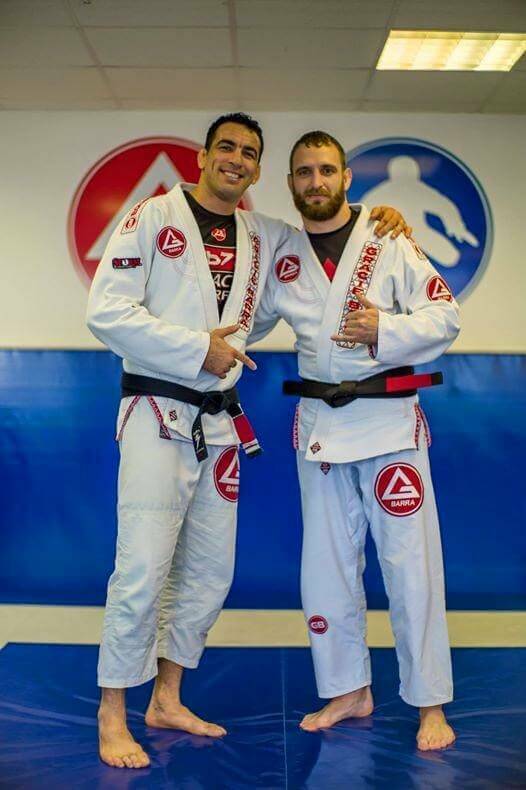 This change was much to do with me meeting my current professor and multiple BJJ world champion, Braulio Estima. He really really opened my eyes to how good somebody could be at their chosen profession and I carry that inspiration to this day. To always try and improve myself, and my Jiu Jitsu. The grappling art I chose to concentrate on at that time was Judo. After suffering a serious injury to my shoulder and a broken forearm, my judo training had to stop at Brown belt level. This is when I felt my calling to finally commit to training BJJ. Not one to do things by half I moved to Birmingham where Braulio and his brother Victor were based. I seen the lifestyle Victor led. He gave me my inspiration to want to make Jiu Jitsu my career. Victor would come to Bradford on a weekly basis and I would have weekly privates with him, his life seemed amazing, teaching Jiu Jitsu, talking Jui Jitsu, breathing Jiu-Jitsu!! I thought ‘maybe I could do that’ but I knew it would mean some serious commitment to make this achievable. So me and Sam upped and moved to Birmingham. I was living my dream and training with some of the best grapplers that BJJ has ever known. My time in Birmingham was truly amazing. I have changed completely as a person. In fact I have made a number of shape shifts along this journey. There have been many challenges and adventures on this path, as with anything in life! In Dec 2011 I was eventually awarded my brown belt, of which I am really proud. 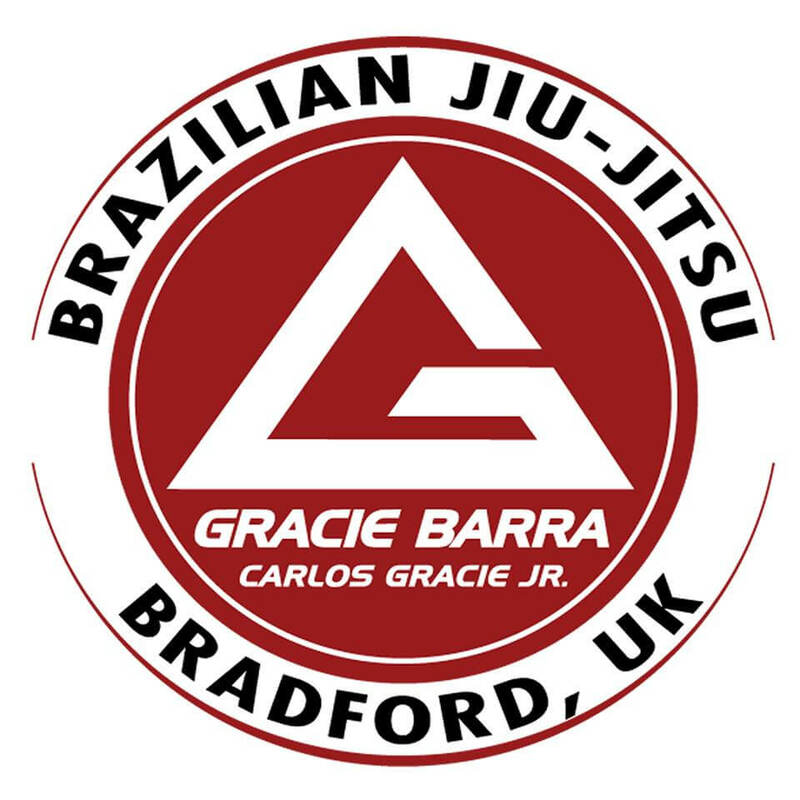 After receiving my new belt, I felt it was right to move back to Bradford and open our own academy, Gracie Barra Bradford. And here we are! To have my own students on the mat is a real honour and something I am so grateful for! My dream and goal now is to show all that BJJ has to offer people. I want to let as many people as I can, see the many many benefits of BJJ and how it can help grow you as a person and enrich your life, just as it has mine. Happy training, and looking forward to being part of your martial arts journey. Here we are in 2018 and I think its about time I updated the bio! In 2014 I was very very pleased to be awarded my Black Belt by Braulio himself! This was such an honour for me…not only a Black Belt in BJJ, but a Braulio Estima Black Belt!!!! Since opening the club we have gone from strength to strength. It isn’t just a Martial Arts Club anymore though…that dream has been surpassed….it has honestly become our second family!!! This was not the dream we planned for but by default we have achieved it! The team we have are truly amazing and we thank our lucky stars for finding such amazing people…or them finding us…whichever way…we are so blessed! We didn’t realise the impact the place would have on our lives…we have made friends for life…and that is priceless!